Scotch on the Rock is our irregularly recurring column from Scotch, music and life enthusiast JD Short. Mr. Short has spent time in the rock and roll outfits Root and The Cardinal Number, as well as being a jack of all trades for Rickenbacker. He currently records under the name BassDbler. Why do these pair so well? Well, both are a bit surprising… intrigued? The MacAllan is a fantastic all around whisky, light and complex. The fine oak casks live up to the distinction. The Macallan Fine Oak is triple-matured in Spanish Sherry, American Sherry and American Bourbon casks which mellow the whisky. A side by side tasting of the 10 year fine oak and the standard 12 year MacAllan will demonstrate just how much the wood matters. Shockingly, these are roughly equivalent in price with the fine oak being slightly less available but smacking of higher quality. 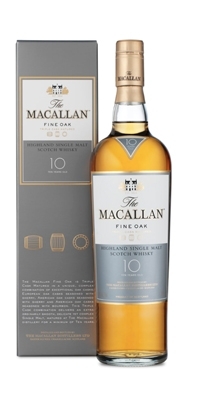 The MacAllen 10 year Fine Oak seems much older than it is… there is a real sense of age with hints of allspice, toffee and a touch of sweetness. 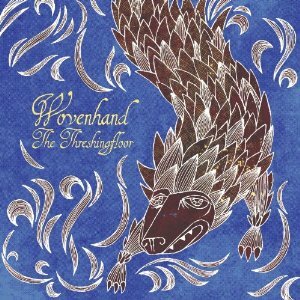 Woven Hand’s The Threshing Floor is the sort of album that seems destined for autumnal nights or winter drives. David Eugene Edwards’ voice lends itself well to dark and haunting folk-inspired tunes. Woven Hand could easily be considered a Christian band (and if so, they win hands down), though if that is something that tends to put you off, dear reader, in this case it shouldn’t. In this context the songs are about strength and the power of belief and spirit. What is the surprising part you ask? Well, it is just how amazingly heavy this album is… Woven Hand are massive in a live setting. They are amazingly loud… listen to the intimacy of the album knowing they destroy. Genius. Oh, and there is a New Order cover. The Threshing Floor is definitely an album for all occasions and for all (discerning – but you’re here, so that is implied) listeners. Yes, it is perfect for those end-of-year occasions but it is equally at home in spring and summer and beach vacations and… you get the idea. How loud could they actually be? They had a few dates opening for TOOL (equal parts ffs and wtf).